We’ve just come back from a Thermal Mass Rocket Stove workshop over at Corga da Periera, where Jeroen was helping to build a rocket stove in their tipi. 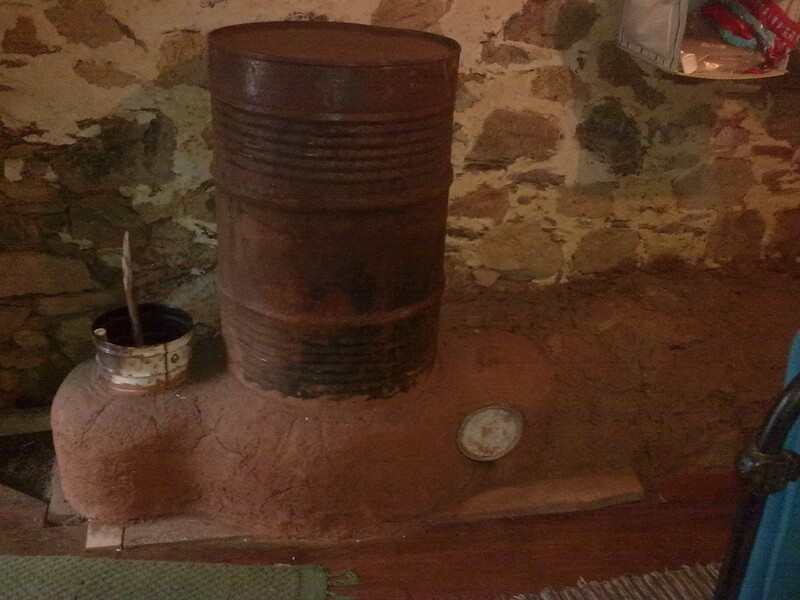 The flue from the stove passes through a cob bench (the thermal mass) as it exits, so the heat of combustion is retained and can be utilised, rather than just being pumped out of a chimney immediately and wasted. 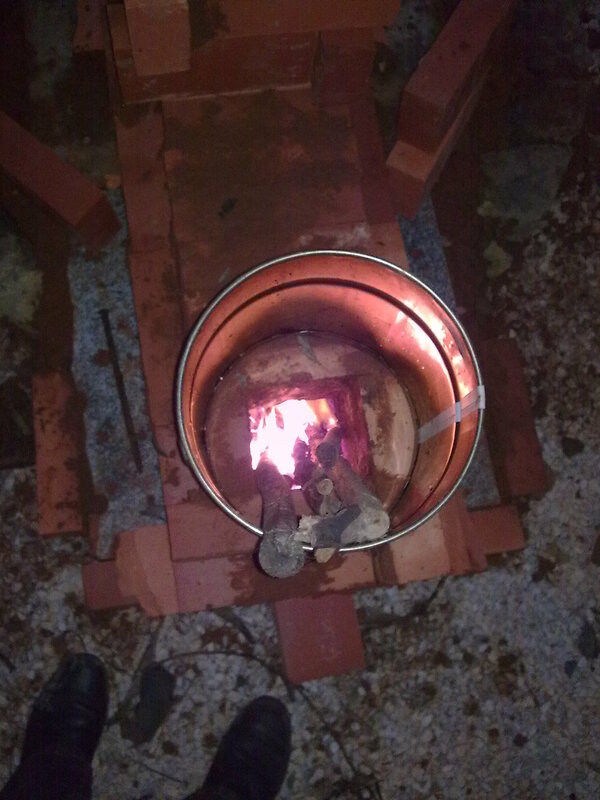 This photos below show the core of the tipi rocket stove when we fired it up for the first time. It burnt absolutely fine like this, but obviously still needs a lot of work! The bricks are fire bricks, and it’s clay filling the gaps. Note the size of the pieces of wood sticking out of the stove. They’re really small, great for coppiced wood, though these stoves will cope with pieces up to the size of a child’s wrist. We were testing this one using pieces of eucalyptus. We had a near completed version in our bedroom (below) which was lit in the evening and kept us toasty warm long into the night. 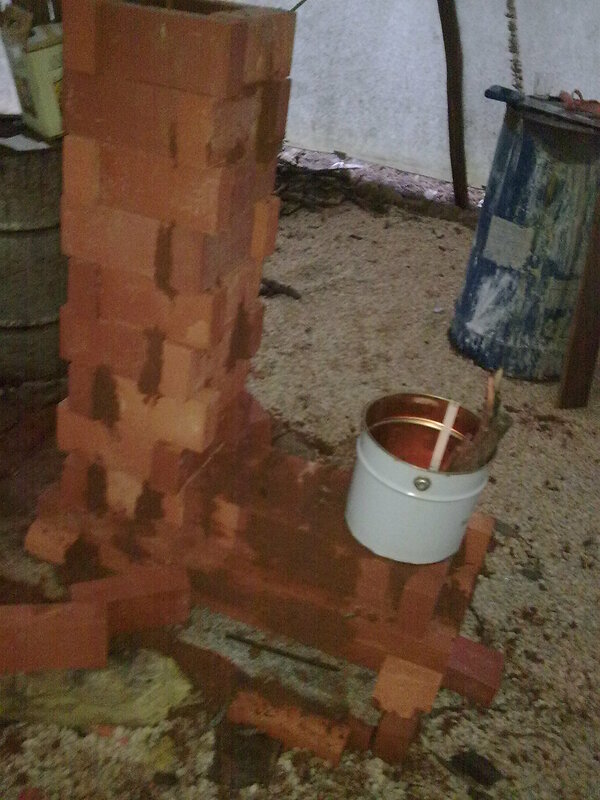 It was the first time I’d seen a Thermal Mass Rocket Stove in action, and I’m completely sold on the idea. So simple, cheap to build and EFFECTIVE! The bench on this one needs finishing off, but purely for cosmetic reasons as it works just fine. 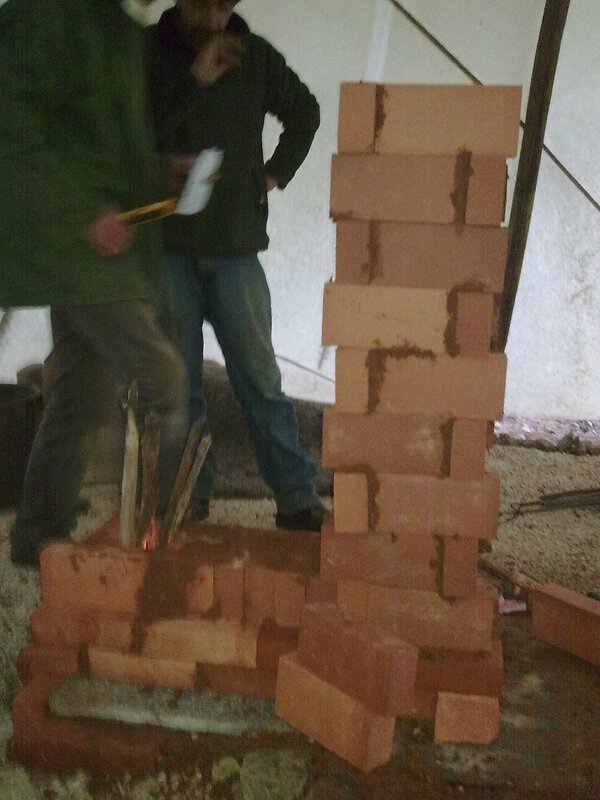 Jeroen is planning Rocket Stoves for our new Volunteer Area. We were originally thinking of them for simply cooking, but we’re now full of ideas for space heating as well. Check out www.aprovecho.org and www.rocketstoves.com for more information. It was a super weekend and our wine was a big success (let’s just say we brought none home with us!). It looks like we’ll be meeting again soon for a more in depth chat about organising a walking route between some of the farms in this spectacular part of the country. One of the best things about the weekend was being a able to chat for so long with a bunch of similarly minded people, and that’s one of the things I’m looking forward to most about the Permaculture Design Course we’ll be holding at Casalinho in June. There are so many great ideas floating around out there! Being a bit technically dim I can’t quite work out how it works but it looks like a fabulous invention, especially for using indoors when space is at a premium.